Editor’s Morning Note: Today we try to understand why Snap may be worth $25 billion, while Twitter is valued at a far more modest $14 billion. It’s been a busy week for social networking M&A chatter. Rumors that Twitter was heavily in play took a hit when media reports took several potential parents out of play. Its shares swooned. And rival Snap1, the holding company that owns Snapchat, was rumored to have an IPO in the works for the first or second quarter of 2017. That both events happened in near unison is notable. We know quite a lot about Twitter and its openness to ending its life as an independent, public company, just as the other player currently has largely-private metrics and an apparent hunger to make it public by itself. Even more fun, the two companies are at very different points in their maturity cycles, both regarding user adoption and financial health. Most fun of all: The younger company with far smaller revenues is said to be worth around $10 billion more than its larger foe. As a yet-private company, Snapchat’s financials are hidden. Happily, the scale of interest in the company has shaken a few things loose. Before we hit the financial numbers, keep in in mind that Snapchat was most recently valued at $17.8 billion. The company’s reported IPO valuation of $25 billion represents a potential gain of 40.45 percent over its last private valuation. In 2015, Snapchat had revenue of $59 million, a figure that it is expected to greatly surpass in 2016. According to both the Wall Street Journal and TechCrunch, Snapchat previously anticipated revenue between $250 million and $350 million in 2016. Both sources agree again on Snapchat’s prior 2017 revenue goal: $1 billion. Expanding from $59 million to $250 million or $350 million this year would put Snapchat on a revenue growth pace between 323.7 percent and 493.2 percent. And to make it from those 2016 figures to the $1 billion goal would require another 300 percent to 185 percent increase. Provided that Snapchat may IPO in the first quarter of 2017—rumors, please hold—we can use its 2016 revenue estimates as a very close analog for where it will be at the time of its S-1. Revenue: $250 million to $350 million. Revenue multiple: With $250 million trailing twelve month (TTM) revenue, 100x; With $350 million TTM revenue, 71.4x. Cash: Unknown, but post IPO likely a sizable sum. Snapchat’s revenue multiples will be off the charts if it IPOs next year. That’s why we took a look at the company’s expected revenue growth pace first. If we didn’t, the company’s hoped-for ratios would appear even more ludicrous. However, they are still very, very high. At 2017’s expected full year revenue—a figure that won’t be reached for another 15 months or so—at Snap’s expected pre-pop IPO valuation, the company will trade for 25x trailing revenue. That’s a lot. And, the company is presumably not just unprofitable but also cashflow negative on both an operational and free basis. That’s not a pejorative comment; companies that are growing as quickly as Snapchat often lose money on purpose to fuel quicker growth. Finally, you need to know that Snapchat is currently investing in hardware (called Spectacles, for some reason). Perhaps a line of connected bowties and light-up fedoras will come next, helping it diversify away from purely digital incomes. What impact the new revenue source will have on its blended gross margin is an open question. Now, let’s take a peek at Twitter, a company potentially worth eleven figures less. Revenue multiple: 5.6x, employing the TTM revenue figure. 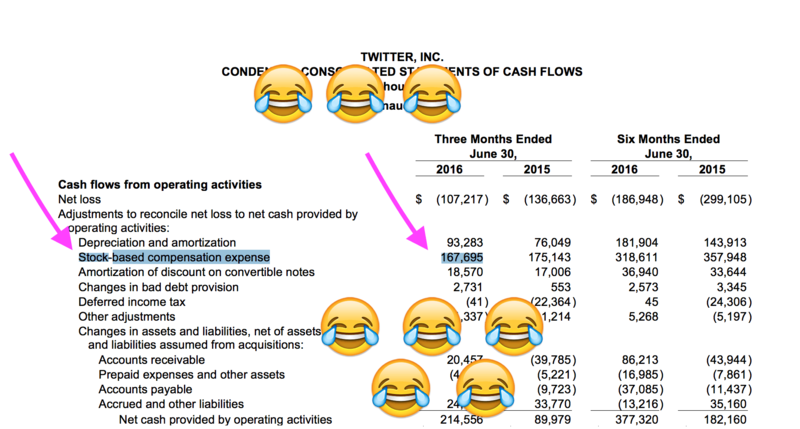 All that and Twitter generated $215 million in operational cash and had “adjusted” free cash flow of $154 million in the quarter, an improvement of $162 million from the year-ago period. I suppose it did go down, year-over-year. Confused? The massive difference between what investors are willing to pay for Snapchat revenue and Twitter revenue can be confusing. However, it comes down to something pretty simple: User growth and activity. The story dogging Twitter over the past year isn’t that people no longer use Twitter, or that it has lost its spot right in the middle of the Digital Real Time, or even that its financial performance is under serious assault; instead, Twitter has been beaten up for not growing its user base quickly enough. If that sounds like a small sin, you aren’t thinking about it exactly the way I would recommend. New active users are effectively present-tense units of future revenue at mature social media companies. So if Twitter isn’t accreting to its own rolls new active users, the amount of fresh revenue and positive cashflow it can derive in the future will fall. That means lower growth and smaller future cashflows. Smaller future cashflows mean smaller present-day value. Snapchat is on the other side of that lifecycle. Its daily active user count is said to be strong—very strong, actually, as are its demographic mix. However, it’s easy to see that Snapchat’s current value is far more predicated on its expected, continued user growth, and its expected, continued improving ability to drive revenue across each of those users. Consider how the two work together: If Snapchat can keep growing at the same time that it is increasingly extracting per-active user revenue, it’s revenue goes up at a far higher rate than its user base. And that means Snapchat might have huge legs to grow its revenue. And down comes the revenue multiple! Unless, of course, it sees engagement growth slip or user growth slow. That is a risk large enough to Snapchat that we need to phone a friend. You can mostly see every tough after-earnings Twitter trading period right there in the listed, lackluster user growth metrics. Which brings us to Facebook. Twitter’s valuation came under intense fire when its user growth curve came into doubt. Snapchat is currently, in my view, quite heavily valued on how quickly it can grow its highly engaged audience, as we have discussed. Therefore, efforts to slow its user adoption could have an outsized impact on its value. Enter Facebook. Facebook is working on its own nerd-adjacent headset; Facebook is cribbing from Snapchat’s user interface for Instagram; Facebook is going after Snapchat with Whatsapp as well. That means Facebook currently hems in on Snapchat’s territory both at its digital core and at the edges of its new hardware product line. User growth rates measured on a percentage basis have compounding effects over time. A small reduction in growth today can mean large declines later. So if Facebook can trim Snapchat today, maybe it can survive it tomorrow. And that makes Zuck’s moves to step on LA not wildly surprising. There are endless things to discuss in this vein, including the oddly arrogant presumption among Snapchat partisans external to the company who find that a Facebook-level global ARPU may be attainable for Snapchat, despite its shallower per-user dataset that we can’t get to today3. But our lesson is simple: Twitter revenue is worth less than Snapchat revenue today because investors are currently paying for current Twitter revenue, while in the case of Snapchat they are buying future growth. Twitter can be a cautionary tale for Snapchat. 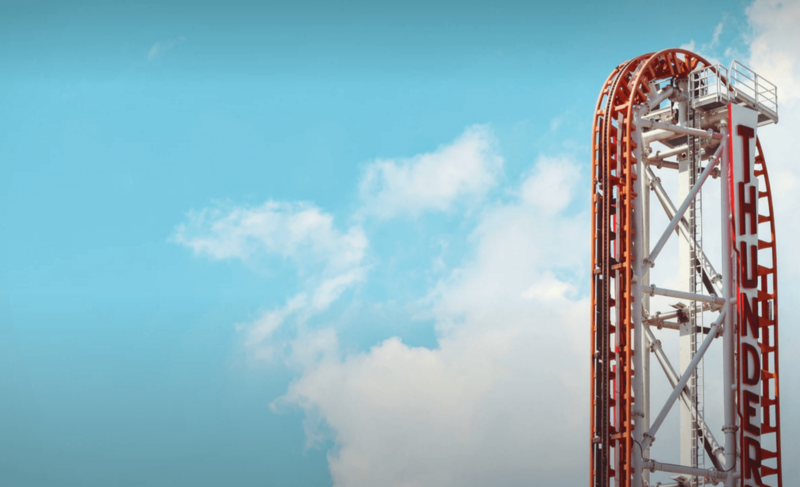 Even the hottest social media rocket ship can get its wings clipped if its user growth slows. The revenue multiple contraction that this brings, Twitter teaches us, makes the February SaaS compression seem pretty chill. I’ve become accustomed to saying ‘Alphabet‘ as it’s a useful term to describe a complex company. Snap doesn’t do heck for me yet. So we’re going wth Snapchat from here on out today. File a complaint, I’ll ignore it on Monday. This joke doesn’t work. But it nearly works. And as it’s Friday we are grading up. This morning note is supposed to be short. Oops.